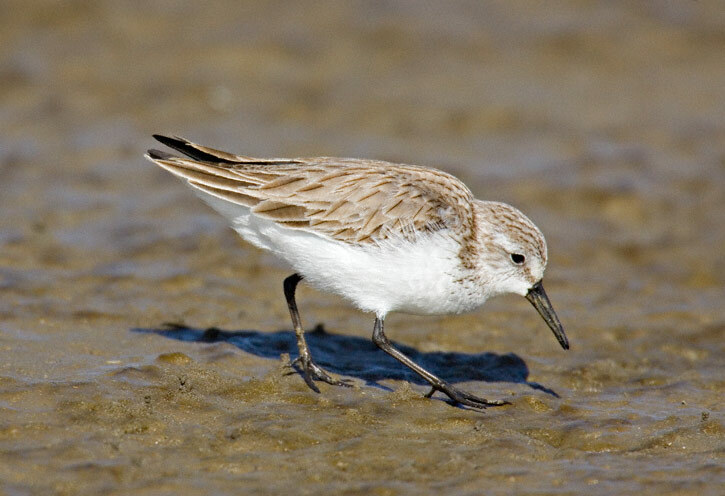 The Western Sandpiper (Calidris mauri) is one of the small shorebirds collectively referred to as "peeps" or "stints". 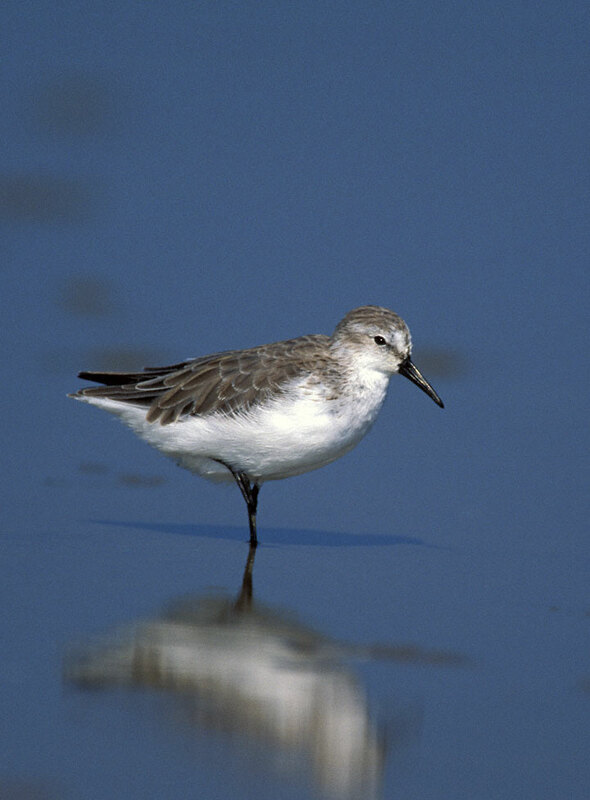 The species breeds main in Alaska and migrates to wintering grounds along both coasts. 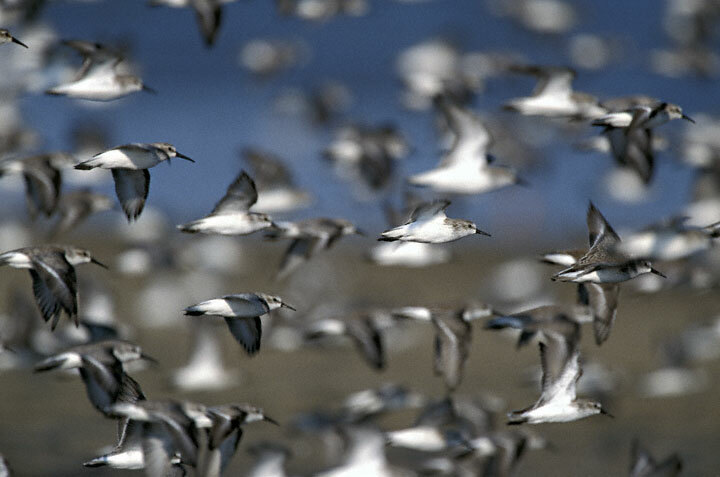 The flock of Western Sandpipers in flight at right was photographed in September, 1999, at Bolivar Flats, Galveston Co., Texas, with a Canon EOS 1N and 600mm F/4 L lens on Fuji Sensia. 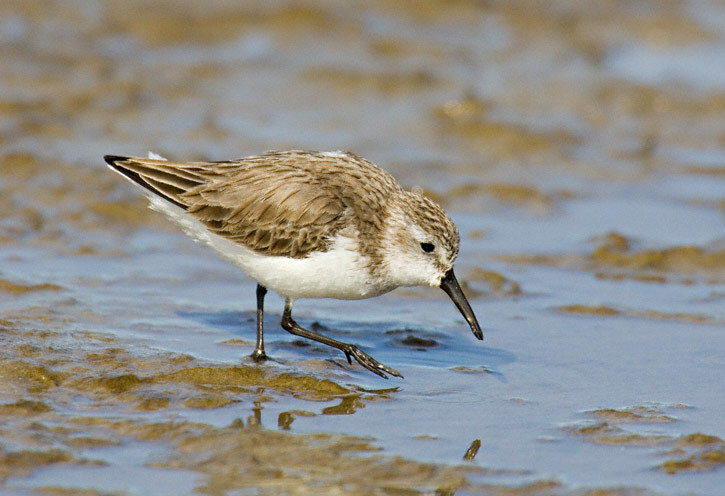 Bill shape and length are among the characters used to separate this species from the similar Semipalmated Sandpiper (C. pusilla). 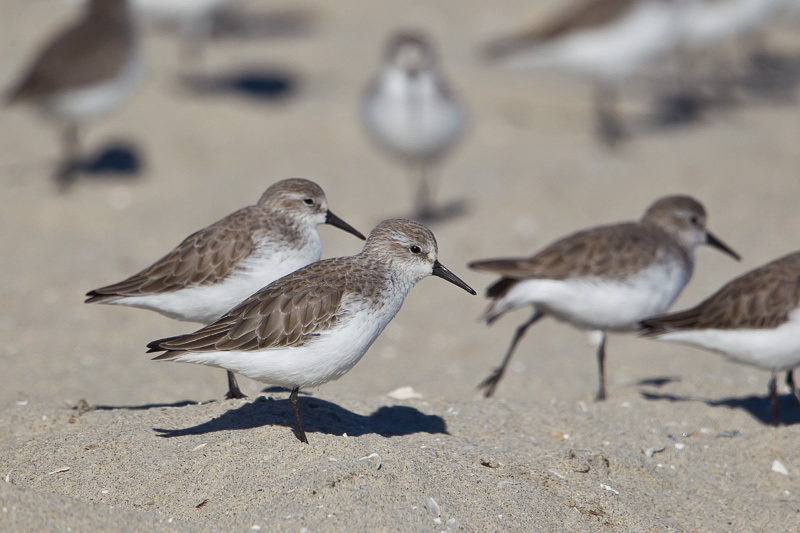 The photo shown here the flock in flight shows a Western Sandpiper at the same location and date as above, and below that is a shot of a flock at rest on the beach. 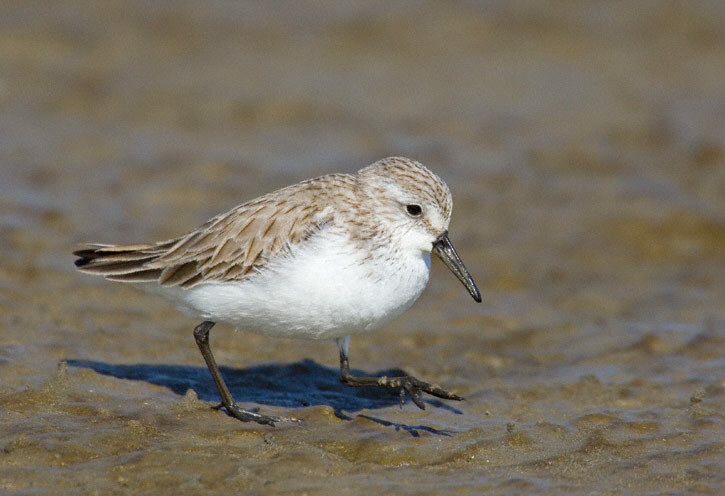 Female Western Sandpipers have longer bills than males. 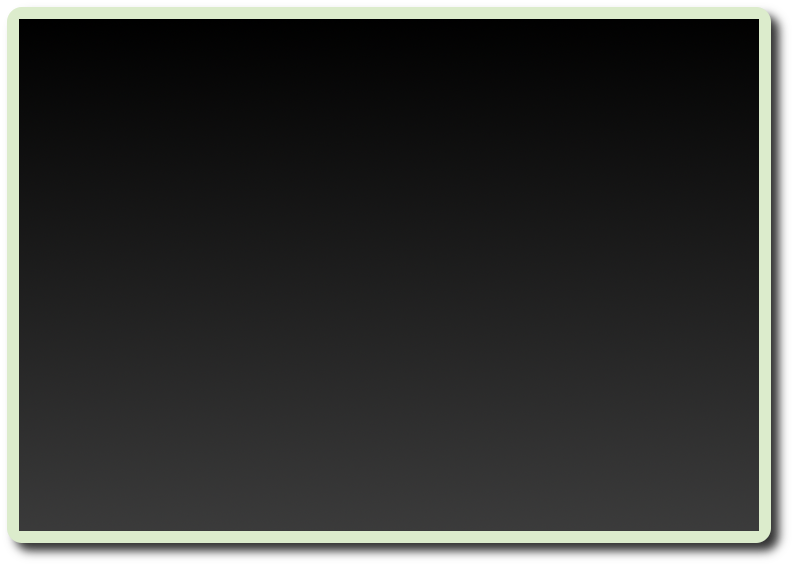 The single standing bird at the right is probably a male. In this resting flock photo you can see some of the variation in bill length on the sitting birds. This photo shows a nice bill comparison between the longer and thinner billed Western(top) and a Semipalmated Sandpiper (bottom). 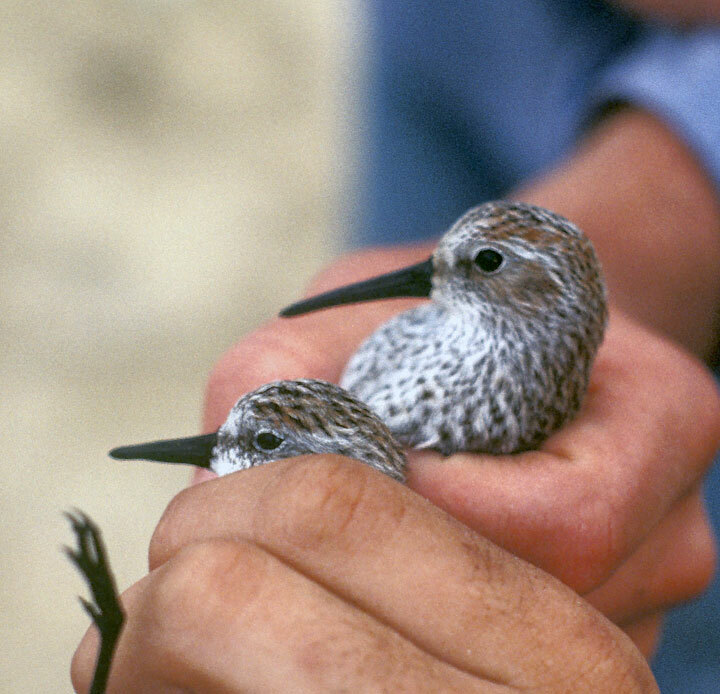 The photo was taken in Galveston Co., Texas in April, 1981, when the birds had been captured for banding during spring migration. The next three images of male Western Sandpipers at right were digital captures at San Luis Pass, Galveston Co., Texas in February, 2007. 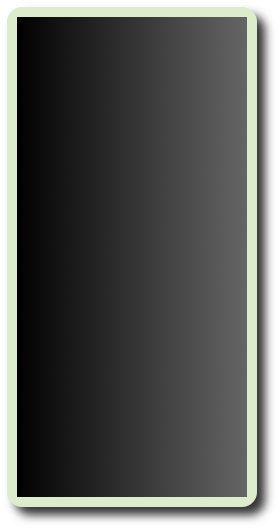 The images were taken with a Canon EOS 1D Mark II and EF 600mm F/4 L IS lens and a 2X extender.